Chess is an enthralling game that provides countless hours of enjoyment for players young and old, but it's true that for the beginner it can often seem like an intimidating prospect. 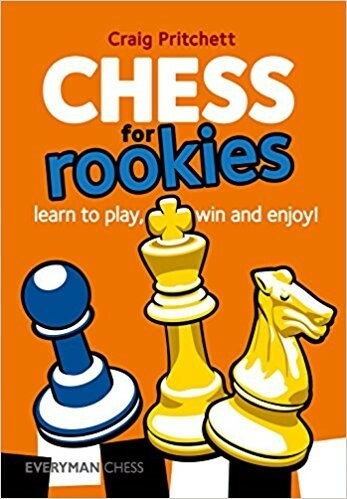 "Chess for Rookies" is a fun-to-read guide for the regular person. Assuming no prior knowledge of this famous game, Craig Pritchett takes the reader on a journey through the crucial basics of chess. Mixed with instruction and humour, this book is an ideal way to learn chess and improve your skills.